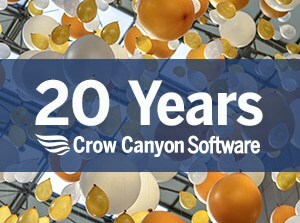 Crow Canyon’s popular IT Asset Management for SharePoint application now includes a Procurement and Purchasing module. This powerful new addition further expands on the rich feature set delivered by the IT Asset Management program, which already has full lifecycle asset tracking, vendor management, ticket tracking, maintenance scheduling, barcoding/QR codes, SCCM and Lansweeper integration, and support contract management, among other capabilities. With the Procurement/Purchasing module, asset management begins at the start — when assets are being requested and ordered. Requests for new IT equipment are tracked from origination through approval to the ordering process. When the assets arrive, the shipment is reconciled against the order. The assets are then automatically entered in the Asset Database, where they become available for deployment. Asset managers will know what is on order, what has arrived, and what is in inventory and ready for deployment. The costs, purchase orders, packing lists, order history, and more are linked to the assets for easy reference. Any contracts, warranties, or agreements that are part of the purchase are easily available in SharePoint. Contract renewals are managed and tracked, with alerts triggered when expiration dates approach. Crow Canyon’s Asset Management application uses Microsoft SharePoint either on-premise or in Office 365 to provide a full spectrum asset management solution. With the addition of the Procurement module, the application covers an even wider range of asset activity, from the initial request through the assets usage and eventual disposal. Gain the benefits of our Asset Management for SharePoint. Call 1 888 706-0070 for more info.